We’ve all been there: stuck in the mud or snow and only 1 wheel spins, or worse your in 4×4 and only 2 tires are turning. This is because your differentials are setup without regard for traction. Lately a good amount of vehicles have been built with at least a limited slip in the rear. Most of them are weak and tend to wear out rather quick, especially with big tires. There are 2 types of traction devices: limited slip and locker. The limited slip or “posi” as most people call them, is a device that adds better traction to both tires, but can also slip when cornering. These limited slips come 2 ways: either with a set of clutches that are tensioned with a set of springs, or the other choice is set up with a set helical gears. The clutches offer the best traction, but they can wear out depending on horsepower and tire size. The clutches can be replaced and stronger springs can be added for better traction. Clutch pack type posi units have been around since the muscle car era. They performed very well in the Ford, Chevy and Dodge small block and big block cars and trucks. The helical gears can wear out, but will take longer. Also these cannot be rebuilt. 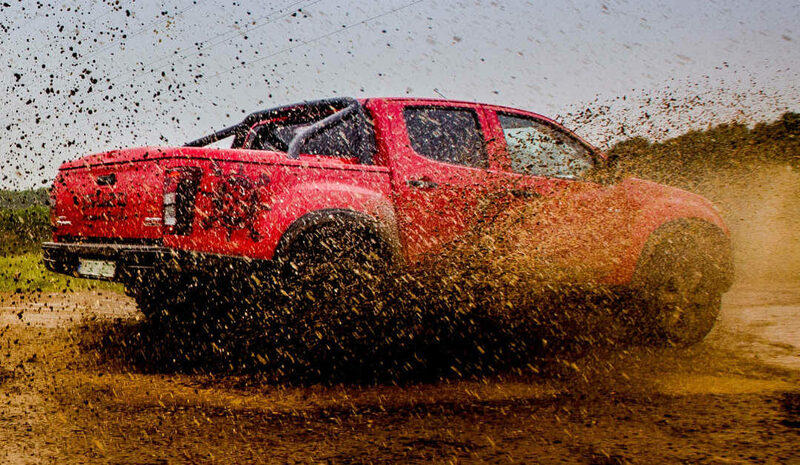 You also run the risk of breaking the helical gears with horse power and big tires. The locker is a device that allows the tires to both turn at the same time regardless of whether you are cornering or not. They offer the best traction because there is no slipping. However this can lead to broken parts due to the rigidness of the differential. Lockers come in a few varieties: Air, Electric , Automatic and Spool. Air lockers require an air source to activate the diaphragm in the locker to slide a collar to engage the teeth to lock the axles so they both turn. An electric locker requires 12 volts to activate a magnet to slide over a collar to lock in the teeth. An automatic locker has springs inside that use tension to engage the teeth to lock the axles. The drawback to auto lockers is they can be noisy and clunking on the road, but they do work well they lock in. When you corner on the street with an auto locker, the teeth will ratchet by each other until power is applied and then they lock in again. This causes a clicking sound, or you can get a banging sound as the locker releases and engages. A spool is basically a device that locks the 2 axles together with no moving parts. These are generally used in straight line racing and off road. Not something you would want to use on the street. But wait, there is another choice for a locker: Lincoln locker! What is that, you say? It’s the cheapest form of traction you can get. Called Lincoln locker because most mechanics had Lincoln welders and would weld the internal gears into a solid block of metal, giving you cheap traction. But you throw it out if it breaks. Limited slips and lockers can be added to both front and rear differentials. Generally these devices are added at a time when you change ratios to accommodate bigger tires or when you want better response from your vehicle. But they can be added anytime you need better traction. Cost of either devices ranges from about $400 to $1200, plus install charges. Most people do a considerable amount of research before choosing the right device for their vehicle. A big part of it depends on what you want to do with your vehicle. People running muscle cars and street vehicles tend to go with the limited slip versions for ease of use. Also people running limited off road may choose a limited slip over a locker. People running off road on a regular basis generally choose the selectable lockers (air or electric) because it offers the best of both worlds. Locked for the trail and unlocked for the street. For those that dont mind a little noise on the street, then they choose the automatic lockers. This way its locked all the time unless cornering. No wires or air lines to worry about either.